What is the Cause of Cluster Seizures in Dogs? Which Dogs are Most Prone to Cluster Seizures? How are Cluster Seizures in Dogs Diagnosed? Is Diagnosing Cluster Seizures in Dogs Expensive? Is a Seizure Ever a “One Off”? Have you ever seen a seizure, or cluster seizures? When such a thing happens in dogs, or in kids, it can be really scary. I remember seeing a classmate have a seizure when I was in elementary school. It was one of the scariest things I’ve ever witnessed since it came on so suddenly, and there didn’t appear to be any particular reason for it. There was Gilbert, lying on the floor, spasming and drooling. The teacher was in a panic – back then, teachers just taught; they weren’t expected to know how to deliver first aid to a child in distress. Fortunately, the seizure passed quickly, and it was just a one-time thing – Gilbert never had another seizure the whole time we were in school. I’ve never seen a seizure in a dog, but since I love dogs to distraction, I think that it would be even more terrifying for me than what I witnessed with Gilbert. I’d expect that a dog’s owner, too, would feel utterly helpless and frightened beyond reason. So, what is a seizure, exactly? How do seizures occur in dogs? What if your dog is having multiple seizures in one day? 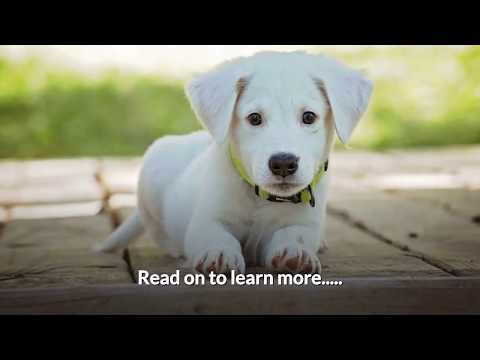 What do you need to know, and what do you have to do in order to help your dog? The first thing that you have to know is that you can never ignore a seizure. Canine cluster seizures are indicative of a significant problem, but even a single seizure can be extremely dangerous, and an indication that something is very wrong. Seizures in dogs are much the same as seizures in humans, in that they can happen without warning. There are a number of seizures that dogs can experience, but among the most dangerous are cluster seizures. In dogs, it’s important to identify the different kinds of seizures that can occur, so that you can determine what treatment is warranted, and what outcome you can expect. 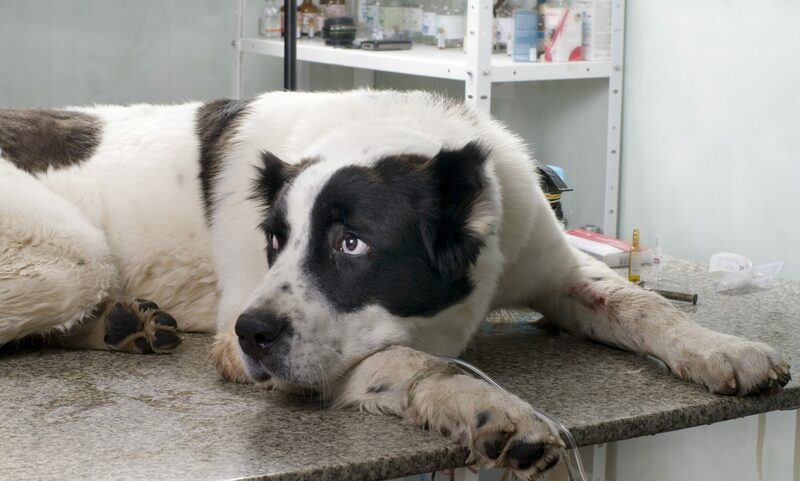 Most of the time, seizures and cluster seizures in dogs are not life-threatening. They do, however, provide proof positive that your dog’s brain is not working the way that it should. You might think of seizures as being identified by spasming and foaming at the mouth, but often the symptoms are not all that pronounced. Your dog might simply look disoriented. Your dog might simply look a bit unsteady and nervous. Any seizure can be dangerous, but cluster seizures in dogs are the most dangerous. If your dog has a seizure at all, I would encourage you to take him to the vet. If he has one seizure after another, or more than three seizures over a 24-hour period, then I would insist that you take him to the vet. Multiple or cluster seizures in dogs can be life-threatening. Even if the dog seems to be behaving normally after experiencing the seizures, don’t take chances – get to the vet; your dog’s life could be at stake. A number of things can cause seizures. Your dog might have a brain disorder, epilepsy, or a reaction to medication. There could also be problems with your dog’s liver or thyroid. Tumors are also a possibility. Seizures can also be the result of physical trauma. Seizures can also be due to low blood sugar, or to ingesting Xylitol (a non-sugar sweetener commonly used in cough lozenges, gum, and baked goods) or moldy food. Sometimes, too, a seizure can be caused by a dog not ingesting enough calories. Genetic malformation in the dog’s brain can also be a cause. This is where you need to trust your vet. In the event of single seizures or cluster seizures in your dog, your veterinarian will be your best friend. He or she can do diagnostic tests to identify the cause of the seizures. An MRI or a CT scan may also be a possibility. The important thing here is to identify the cause of the seizures. Most of the time, a seizure disorder in dogs can be treated using medication. Other times, it’s just a matter of avoiding an allergen that’s causing the problem. Or the cause could be a tumor that can be removed. Your vet can help to achieve a good outcome for you and your dog. A seizure, in both dogs and humans, is caused by abnormal brain activity – you could think of it as sort of a thunderstorm in your dog’s mind. When a seizure occurs, your dog could become disoriented, or even lose consciousness. A seizure might last mere seconds, or it could go on for several minutes. In rare cases, a seizure could go on for hours, and if this happens, brain damage is a virtual certainty. Your dog could be having a focal seizure, which is usually mild and confined to one specific area of his body, or a generalized seizure, which affects the entire body. Frequently, a seizure follows a period in which the dog appears anxious or afraid. This is known as the pre-ictal phase. The ictus phase is the actual seizure. With a focal seizure, the dog may just twitch a bit in his limbs. He might snap at the air and seem disoriented. Usually a focal seizure is not severe, and although the dog should still be assessed by a veterinarian, it’s not generally a life or death scenario. With a generalized seizure, the dog may convulse in his entire body. He may also become incontinent, and my cry, whine or howl. The convulsions can cause significant damage, and immediate intervention is needed. With cluster seizures in dogs, we’re talking about seizure after seizure, and this is definitely an emergency. Your dog needs to see a veterinarian right away. It pretty much goes without saying that watching your dog experience a seizure is never going to be a pleasurable experience, but being able to identify the type of seizure, and knowing what to do about it, can ease the stress somewhat. Often, when we think of seizures in dogs, and in humans as well, the first thing that comes to mind is epilepsy. The term “epilepsy” does not in and of itself refer to a type of seizure – rather, it’s the condition in the brain that causes seizing. The types of seizures that a dog can experience are many and varied. Here are some of them. This type of seizure typically starts in much the same way as a grand mal seizure, but the dog won’t usually “paddle” or extend his legs. Also, he won’t pass out. This type of seizure is also sometimes referred to an “absence seizure,” and since it’s so brief, you might not even notice that it’s happening. It might only last for seconds, during which your dog might stare at you blankly or rotate his eyes. With this type of seizure, you’ll probably see jerking in a leg, the dog bending his head toward his back, or twitching in the face. These seizures can worsen over time. With a complex partial seizure, your dog might smack his lips, bite at the air, bark a lot, or hide. He might also vomit, be unusually thirsty, or have diarrhea. This type of seizure can last for minutes, or even go on for hours, and is often followed by a more generalized seizure. It’s usually associated with epilepsy. This is a very scary-looking type of seizure. It can present as several seizures over a short time, or as one long seizure that can last up to half an hour. Even more worrisome, this type of seizure can occur in dogs that have no prior history of seizures, and they can be life-threatening. Now, back to the main focus of this post. Cluster seizures in dogs are multiple seizures over a brief period, and like status epilepticus, they can kill your dog. Large breeds of dogs are more prone to these seizures than small dogs. With cluster seizures in dogs, you’ll usually see one seizure, after which the dog will appear to recover. Then, another seizure happens a few hours down the road. The problem is that the seizures are so severe that the dog doesn’t have time to recover from the first one before the second one happens. This can go on, seizure after seizure, until the dog dies. What this means is simply that if your dog has a seizure, get him to the vet immediately. You can’t be sure if it’s a one-off, or if it’s the precursor to cluster seizures. In dogs, any seizure should be considered an emergency. If your dog is prone to cluster seizures, the condition can usually be managed with medication. However, it’s vital that you get a proper diagnosis. Seizure disorders generally originate in the brain, and this applies to both humans and dogs. The worst case scenario would be that the seizures are being caused by a brain tumor. There can be other reasons, though – lack of oxygen to the brain, hypothyroidism or hypoglycemia. If a reason can’t be determined, then it might be what’s known as idiopathic epilepsy – idiopathic meaning that there is no apparent cause, and the seizures don’t cause permanent brain damage. In dogs, cluster seizures can occur in any breed, and at any age. Most of the time, though, as previously mentioned, certain breeds are more vulnerable. This isn’t etched in stone, though – Boxers and German Shepherds are particularly susceptible, but so are Dachshunds, Cocker Spaniels and Border Collies. Most of the time, a dog that is experiencing a seizure will collapse, jerk his legs, drool, and possibly become incontinent. He will also usually pass out and have no control over his movements. I don’t want to panic you here – there are plenty of instances where dogs can have a seizure disorder, and live a perfectly normal life if medication is provided to control the condition. With cluster seizures in dogs, though, the outcome is not always so favorable. With cluster seizures, the dog will usually appear to recover in between episodes, although he’ll be lethargic. The real concern here is that, as previously stated, there’s not enough time between seizures for the dog to fully recover. I can’t tell you often enough, or loudly enough, that cluster seizures in dogs are very real emergencies. The only way to determine if your dog is experiencing cluster seizures is to have him evaluated by a veterinarian, who will administer a glucose test. Your vet will also rely a great deal on the information that you’re able to provide, so watch your dog closely during and after a seizure. If you notice any unusual behavior before the actual seizure, take note of that as well. Your vet might also do an MRI or a CT scan to rule out lesions or tumors. Yes. This is a very serious disorder, so your vet is going to want to administer every possible test to determine or rule out cluster seizures. MRIs and CT scans aren’t cheap, but I sincerely hope that you’re not going to put a price on your dog’s health. If your dog has been diagnosed with cluster seizures, your vet will prescribe medication to control the condition. You can also do some things at home. If your dog has a seizure, make sure that he’s not near anything that could hurt him. Comfort him afterward, and then take him to the vet right away, especially if you think that another seizure might be in the offing. If your dog has a history of cluster seizures, then you’re going to have to keep an eye on him. Be alert to any change in his blood pressure, heart rate, breathing, mental status, fluid intake and salivation. There are a number of medications that can be used to treat cluster seizures in dogs. Most commonly, valium or phenobarbital are used. There are also other medications that can be used if these prove to be ineffective. As to cost, it can vary quite a bit depending on the size of your dog since much of the time the medication is administered per pound of your dog’s weight. Keep in mind, though, that your dog’s life could be at stake. Repeated seizures, or cluster seizures, could cause your dog’s body temperature to rise to a dangerous level, and if that happens, he could sustain irreversible, permanent brain damage. Even if he lives, he will never again be the dog that you knew and loved before the seizures. And most likely, he will not live. Canine epilepsy is often mistaken for a disease of the nerves, but it actually originates in the brain, and the cause is not known. The onset can be quite early in a dog’s life, occurring between the ages of one and five. Some breeds are more prone to epilepsy than others – the Beagle, Labrador Retriever, Keeshond and Golden Retriever are among the breeds most likely to suffer from epilepsy. Epilepsy is a nasty disorder in that it is hard to diagnose. The cause isn’t known, although if your dog’s dam or sire had epilepsy, there is a reasonable chance that it may also affect your dog. However, epilepsy is very treatable using drug therapy, and a dog with epilepsy can often be expected to enjoy a long life provided that the condition is diagnosed and an effective course of medication initiated. With a myriad of causes, there are only a few ways to prevent seizures in dogs. One preventative measure is to keep your dog away from toxic substances and poisons like paint solvents and antifreeze. If an environmental allergen is apparent, avoid this trigger and maintain a healthy lifestyle by feeding your pet high-quality food and giving it exercise. I know that I’ve probably terrified you with the previous information on seizures, and I don’t necessarily think that’s a bad thing. You need to know that seizures in your dog can be deadly, and should never be disregarded. Several years ago, my friend Leo came home to find his mixed breed, Dilly, convulsing on the kitchen floor. Leo rushed Dilly to the vet, going 80 miles an hour in a 30mph zone, sobbing all the way, and figuring that if he had to race the cops, he’d deal with that after he got Dilly taken care of. I’m not recommending that you speed like that, but I understand why Leo felt the need to do it. I believe that I would have done the same thing. Long story short, Leo arrived at the animal hospital sans cops, and all manner of tests were done on Dilly. The dog was given a clean bill of health. Leo took Dilly home, and his four-year-old mix lived for 9 more years without ever having another seizure. It’s worth mentioning, though, that Dilly is the exception, not the rule. Most of the time, if a dog has seizures, you can expect that more seizure will follow, and that treatment will be needed. A seizure in your dog might be a one-time thing, but realistically, it’s not likely. Much of the time, one seizure is followed by other seizures, and dealing with multiple or cluster seizures in dogs can be stressful and expensive. Sadly, some owners choose to have their dogs euthanized when they present with cluster seizures. My take on that is that this is a manageable condition, and you wouldn’t say about a human, “This kid costs me too much to take care of, so I think I’ll just have him put to sleep.” The outlook might not be all that good, but the condition can be managed. Cluster seizures and others in dogs need to be properly diagnosed, and a course of treatment identified. Once that’s achieved, there is no reason why a dog cannot live a long and happy life even if he has a seizure disorder. Think of it this way – your dog wouldn’t have you die because you were ill. Why would you do that to your dog? If you love your dog, get a proper diagnosis and then get him the medication he needs in order to continue being a loving companion to you. Most seizure disorders are very treatable, so get your dog the treatment that he needs. No dog should die young of a treatable disorder. Is Your Dog Exercising Enough? How Much is Enough and What’s Too Much?